*Not all celebrities are one-dimensional. 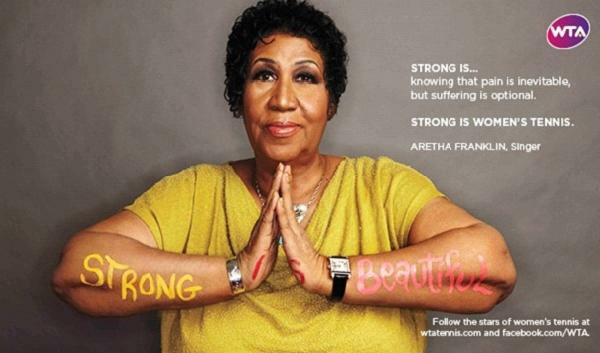 You just have to give them a chance to warm up to you, and show another side, like legendary diva Aretha Franklin. Already known for her animated attitude, and outspoken opinions, the singer is also a fan of tennis, believe it or not. “Strong is born from the obstacles that we overcome. Pain is inevitable. Suffering is optional. Strong is beautiful. Strong is women’s tennis,” she says in a recent ad. Franklin’s involvement is part of the organization’s goal to raise awareness about the issues surrounding the sport, as well as attract new fans. Check out more at WTAtennis.com.